Heavy duty mast with different attachment options and electronic controls with variable speed control. Available in one or two row configurations with hydraulic height and width adjustment. Thins shoots from grape cordon while also mechanically removing suckers from the grape vine trunk. 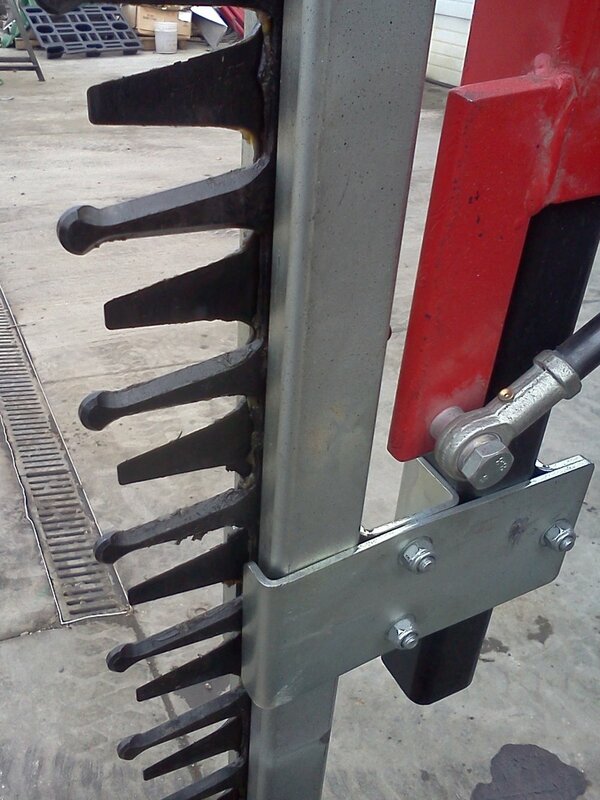 Vine Tech Equipment's sickle bar trimmer can be customized to various different configurations to best meet your needs! 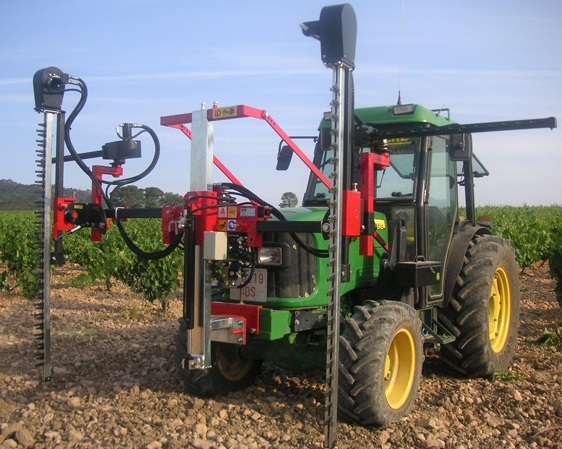 Can be used in vineyards, berries, olives, and more making it very versatile. It can also be mounted to loaders and skid steer buckets. The Concord Pre-Pruner is a Pellenc Pre-Pruner plus a design by Vine Tech Equipment specifically designed for juice grapes such as Concord and Niagara. Vineyard managers have been very satisfied with quality job these pruners perform. These pruners are great way to cut costs by greatly reducing hand pruning. The Raspberry Pruner is designed to mulch raspberries that are mowed to the ground every year. Mulches canes to pieces that are 2-3 in. Guards protect wires from being caught in moving parts.